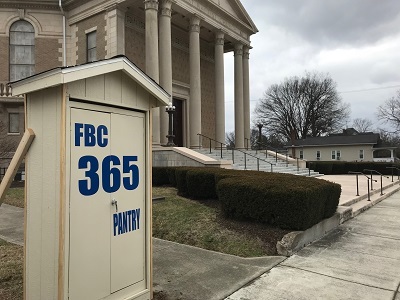 The 365 Pantry is located in front of the church to assist families during food emergencies during times the church office is closed. The Leap of Faith Sunday School class initiated this missions project, and everyone is invited to participate. If you would like to donate canned and non-perishable food items, and/or personal hygiene products, you may place items directly in the 365 cabinet or drop the items off in the office. We are already hearing stories of people who have made use of the 365 Food Pantry and those who are finding a way to minster by putting canned goods in the pantry. Those wishing to assist victims of recent hurricanes may partner with the Cooperative Baptist Fellowship. Pray for those affected by the hurricanes and pray for those on the ground responding to the needs of victims of these disasters. You can give to the CBF Hurricane Disaster Fund at www.cbf.net/irma. 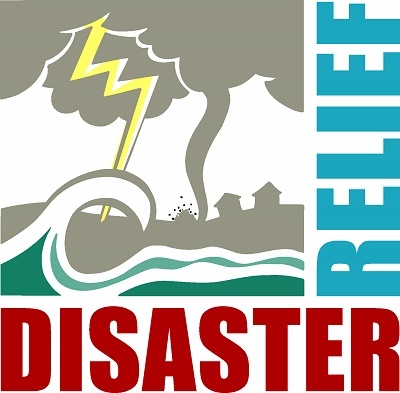 CBF also provides information and accepts registrations for volunteer “muck out” teams as well as teams to help rebuild what has been destroyed. For more information, visit www.cbf.net/irma. This year First Baptis t is preparing shoeboxes for some underserved high school students in McCreary County through the Kentucky Cooperative Baptist Fellowship. Working with local schools, missionary Scarlette Jasper discovers students who will not receive a Christmas this year. First Baptist will be preparing at least 25 shoeboxes. Each box should include soap or body wash (in a zip lock bag), shampoo (in a zip lock bag), toothbrush, toothpaste, brush/comb, washcloth, hat, gloves, and age appropriate school supplies (for a high school student). In addition, you can add a $10 gift card from either Family Dollar or Dollar General (both located in McCreary County), deodorant, wallet, jewelry, nail polish, socks, perfume or Axe Body Spray (in a zip lock bag). If you want to add another gift card, fast food restaurants in McCreary County include Arby’s, McDonalds, Subway, and KFC. All shoe boxes need to be in the church office by Thursday, December 1. Scarlette Jasper will pick up the boxes that day. If you have any questions or concerns, please call Norma in the church office (606-549-0280). The First Baptist Church Food Pantry will be distributing Hygiene Kits along with groceries at the December 21 Food Pantry. We need your help!! If you can bring toilet paper, toothpaste, toothbrushes, shampoo, bar soap, wash cloths, and combs, these items can be packed in bags that will be decorated by our children’s Sunday School class. We will be collecting items all October and November. We will also be having a Coat and Shoe Give-a-way. If you have good, used coats and shoes, these also may be dropped off at the church office. Let’s let the community know we care for them. Find a place to study God’s word and be a part of a small group that fellowship together and cares for one another. Most classes begin at 10:00 am on Sunday mornings. The Men’s Bible Class meets in the Fellowship Hall. They are studying “Proverbs” right now. The McPherson Wood Class and the Vota Vita Class are women’s classes studying “The God of Easter.” McPherson Wood meets in the church parlor and Vota Vita meets in the basement. The Gabhart Pairs and Spares Class meets in the CLC Kitchen. This co-ed class is studying the “Book of Maccabees” at present. The Seekers Class meets in the basement. This women’s class continues to study “The Wired Word,” a Bible study that draws from current events. The Leap of Faith Class, a co-ed class, meets in the classroom to the left of the choir room. They are studying “Crazy Busy,” a book by Kevin DeYoung, studying the way busyness is affecting our Christian walk. Youth, who meet on the second floor of the CLC, are studying “The Story,” a chronological study of the Bible. Kids Connect is a class for children located on the top floor of the church building. The Nursery is located in the basement. There is a place for everyone at First Baptist.